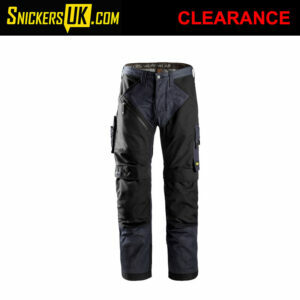 Snickers RuffWork trousers have a more modern cut making them slimmer in the leg, thigh and waist. These are a heavy duty Doby Pro trouser designed for working in the toughest environments. Available with or without Holster Pockets. Stay cool in the heat in these hardwearing work shorts in reinforced design with a modern jeans look. Featuring amazing fit, stretch gusset in crotch and holster pockets for outstanding functionality and long-lasting comfort.